Office inspiration this week comes from somewhere closer to come, Leeds in fact. 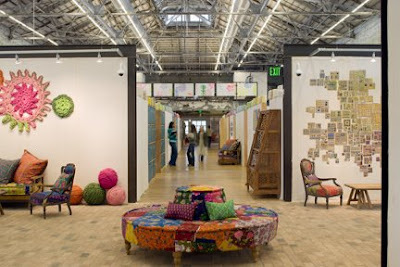 This creative space was made by Manda McGrory who runs Tree Fall Design. 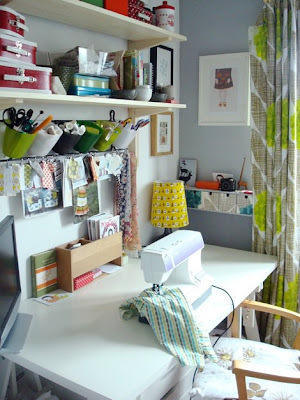 Her studio is light and airy, displaying a fantastic use of limited space. It just goes to show that whilst vast office spaces like the Urban Outfitters' HQ can be hugely inspiring, so too can small spaces and Manda's studio is living proof of this. The space is clearly productive, with Manda running a successful online Etsy store selling handmade goods, using lots of recycled fabrics, many of which you can see in the photos here. Her online shop sells handmade quilts, soft toys, tote bags and many more delightful finds. 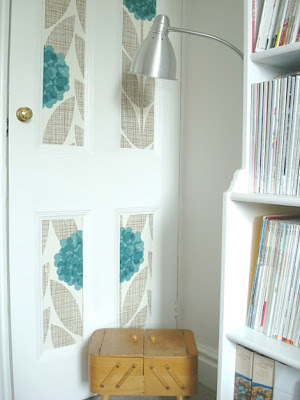 Look how she has used left over fabric imaginatively to liven up often forgotten parts of a room, such as the panels in the door below. The studio even manages to look stylish through storage. 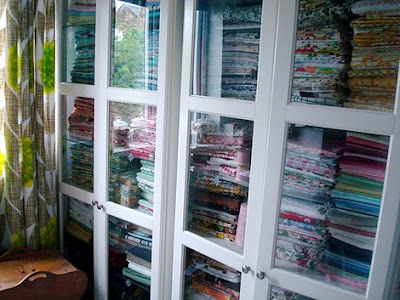 Check out the extensive range of fabrics Manda has stored, it must take her all day just to choose one for her next design! 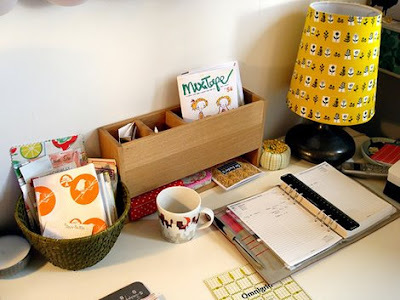 Do you have a creative space or a home office that you would like to share? Please get in touch in the comments below or find Bright.Bazaar over on twitter - 'Will_UK'. Image: insideout.com.an. Photography. 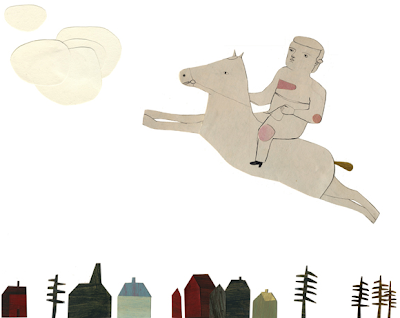 Sam McAdam. Styling, Claire Delmar. 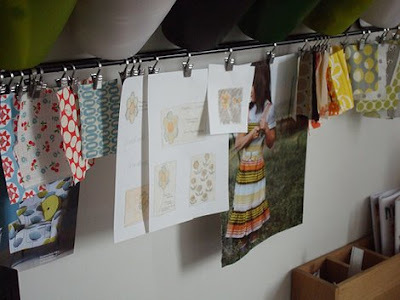 Last week's office inspiration showed the intimate and colourful workspace of Orla Kiely. 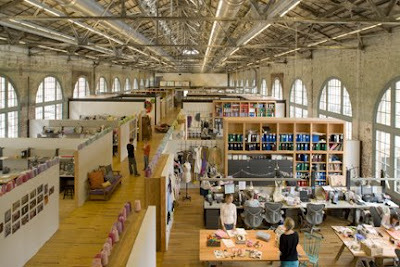 This week it's all about inspiring corporate spaces and the Urban Outfitter's Headquarters in Philadelphia is the focus - what an inspiring and seductive place to work. I first read about this fantastic office space on decor8 a while back, and it's lovely to be able to feature it on my own blog. Most of us spend our life working in offices so let's celebrate how lovely they can be when a bit of colour, personality and expression are thrown into the mix. I think it's admirable for an employer to provide such a creative and informal place for their staff to work amongst and I'm sure Urban Outfitters reap the benefits for doing so. The vast height of the main office space is bound to create an airy and fresh feeling, almost as if the space was designed to provide more head space for workers to keep their creativity from being crushed. The huge windows shown below let light flood into the different areas of the office, keeping even the smaller spaces feeling breathable. Although for many of us this kind of office space is a mere dream, there are still small elements from which inspiration can be taken. 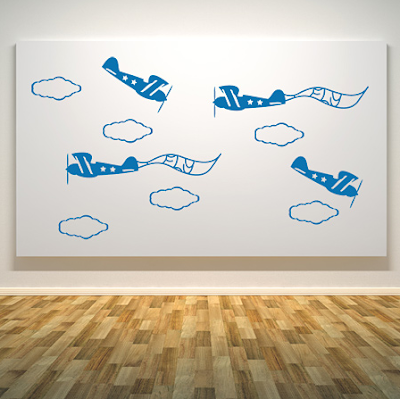 For example, hanging a favourite item of clothing or arranging different sculptures on a shelf can provide the same effect as the picture below, just on a smaller scale. I would love to see some of your own office spaces and feature them on Bright.Bazaar, so please let me know in the comments below if you wish to share the space in which you work. 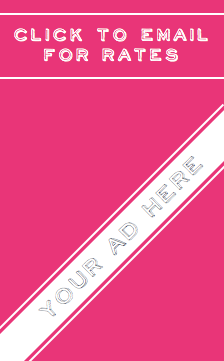 You can now get the Bright.Bazaar Newsletter direct to your inbox. To sign up please fill out your name and email in the box in the top right-hand corner of the blog. We don't use your email address for anything else and never, ever share it. Go on, we love to keep in touch with you all! 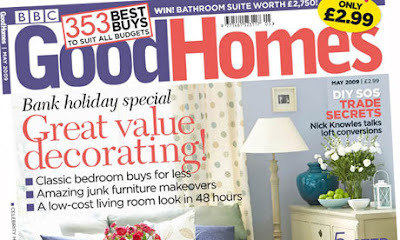 Today The Guardian reported that 11-year old home interest title, BBC Good Homes has been saved from closure after a sale was agreed to family publisher, Kelsey Publishing. This is fantastic news and it's great to see a publisher willing to take risk within the competitive interiors magazine market. I'm looking forward to the August 2009 issue, as the new agreement marks the end of all affiliation of the magazine with the BBC and will therefore loose all BBC branding. I wonder if they will launch with a new look? I can't wait to see it - what brilliant news to start the week. 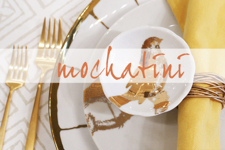 Friday is finally here and I'm planning a relaxing weekend of good food, even better wine and plenty of time to catch up on all that's new in the world of interiors. What have you all got planned? I'm going into Central London to seek out some as yet undiscovered interior and lifestyle stores, perhaps I'll pop to Spitalfields Market too, simply because I love strolling around there on a Sunday morning with a coffee and pastry in hand - it's bliss. To get everyone in the mood for a weekend of interior loving I've posted this delectable photograph of Abigail Ahern's Aladdin's cave-like interior. 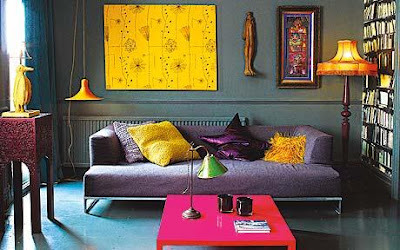 Ahern's confidence with colour gently oozes in this picture, just look at how the bright pink coffee table lifts the moody, but seductive grey hues that grace the walls. Flashes of yellow tie the scheme together and the hand printed 'Genuine Fake Bookcase' wallpaper by Deborah Bowness adds sophistication and fun to the room all in one go - impressive! 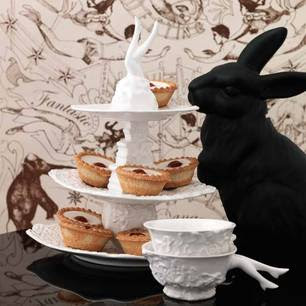 If you like what you see below then you can buy much of it from Abigail Ahern's inspiring store in London. You can find out more information on her website. Image: Original by Dan Duchars and styling by Harriet Paterson; above taken on iPhone from Living Etc. 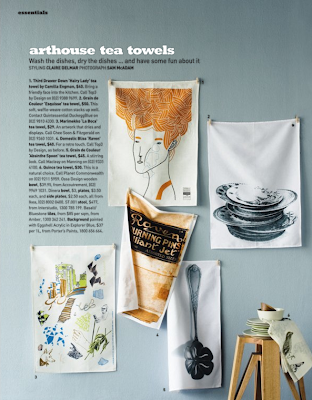 I've been flicking through the June issue of Living Etc this morning and look what I found! 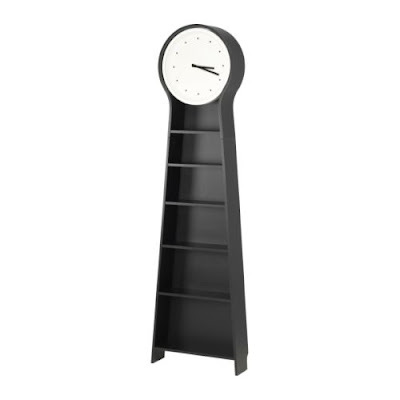 The Pendel Clock from Ikea is not only playful and functional, but it's quirky nature would also make a great talking point for any kitchen. 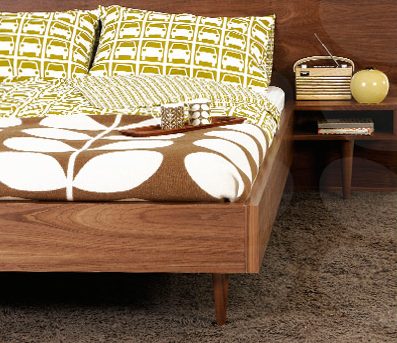 Plus, being from Ikea it's an absolute steal at £129. That's my Saturday sorted then! 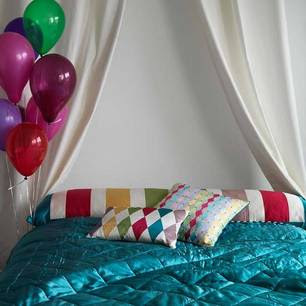 Quirky, affordable and stylish - in other words a Bright.Bazaar dream come true! 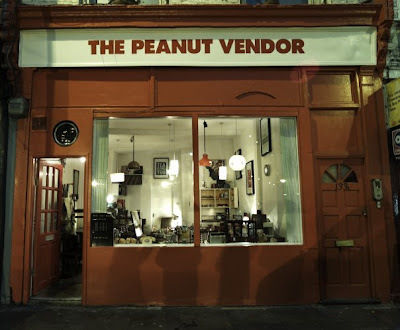 The Peanut Vendor is the sort of place I would like to go to when hungover; immersing myself in all those gorgeous vintage pieces is the best cure I could possibly think of having! 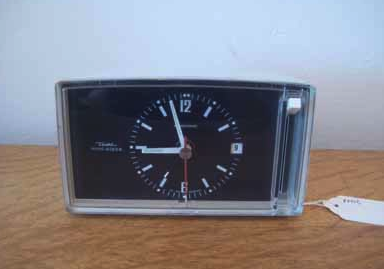 Ran by Barnaby Read, the North London shop is full of affordable finds ranging from a 1960's chair, a 1950's sideboard, to a fabulous 70's alarm clock (see below). Check out what's currently on offer at their online store. And as for the name? Well, why not venture on in and ask the guys inside to explain the story behind it...just make sure you take your wallet; there's no-way I'd leave that place empty handed! 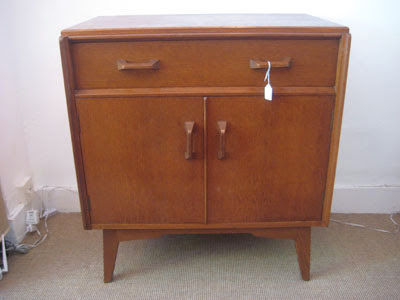 Bright.Bazaar has totally fallen for this gorgeous chest and needs to spread the word about his new found love! 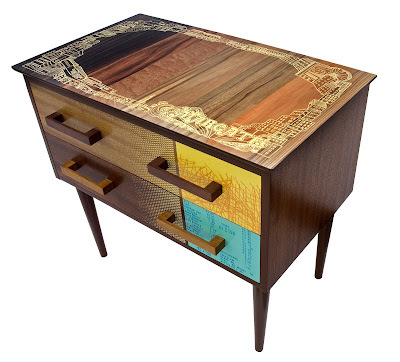 Isn't it brilliant how the retro feel of the woodwork marries with the flashes of bright colour? Plus the level of detail on the top of the chest adds a new dimension to the piece once you get up close...check out the way the receipt like print on the blue drawer ties in with the Margate mention on the top of the chest - brilliant stuff. 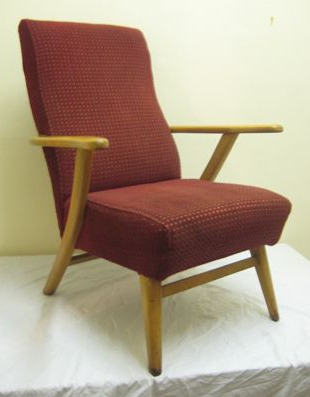 This is what I love about furniture; it can tell a different story to all those who use it. Zoe's work is getting recognised regularly in interiors media so if you want to keep up-to-date with all her news then head over to her blog, here. Office spaces are all too often considered work-only places and therefore end up becoming dumping grounds for paperwork and various other uninspiring paraphernalia. Over at Bright.Bazaar we love to see an office space that's not only practical, but also effortlessly inspiring. Orla Kiely's office (shown above) is proof that offices can be creative and yet functional at the same time. 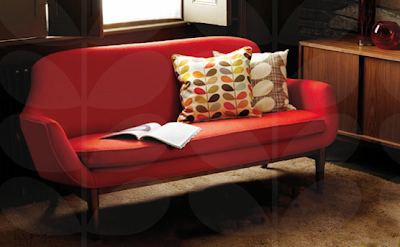 Kiely's colourful personality shines through here, just as it does in her gorgeous fabric designs. The industrial bright green sideboard works so well to offset the feminine prints and designs that fill her office. Way back in October I remember noticing a circus-inspired font as Marks and Spencer's choice of theme for their Christmas shopping bags (yes, that's right I really was Christmas shopping in October. Oh dear!) Anyhow, I made a mental note of it's playful qualities and thought little more of it. However, after having had a bit of a 'back catalogue binge' this evening I realised that this season has seen designers go to town on the Circus theme and I'm loving it. 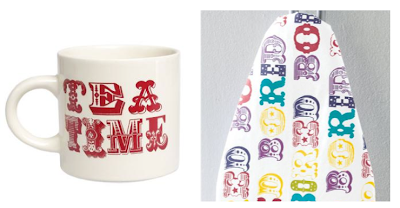 Those vintage font mugs have my name all over them and they would be perfect additions to my (rapidly expanding) mug collection and as for that ironing board - if that's not showing personality through interiors then I don't know what is! 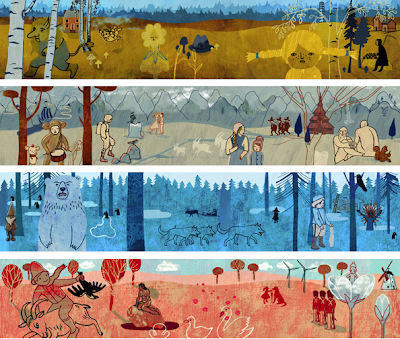 Living etc recently did a picture feature on said trend - here's the highlights. Cross stitch and graffiti I hear you cry? Agreed, this is an unlikely union, but for pattern-cutter Phil Davidson it was the natural choice to marry his two loves. His London based company Random Monkey Design sells cross stitch kits for anyone to make in their own home. 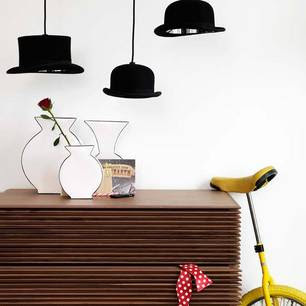 Inspired by street art and popular culture, the kits are a great way to get crafty with your home. As well as offering diy kits, Phil also takes commissions and will mount and frame them for you. Loving the personality here - this marriage of street-flavoured design and the stereotypically not-so-street cross stitching works brilliantly on two accounts; to challenge said stereotype, whilst also making for a great, modern addition to one's home. Go Phil! 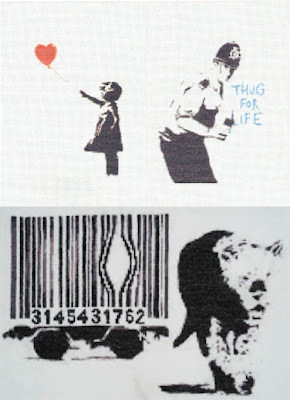 Balloon Girl, Thug For Life & Barcode Cage. 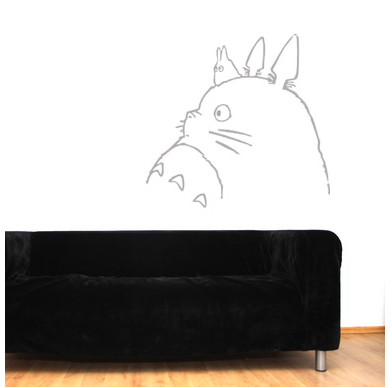 Given my love for quirky wall stickers I felt it only right to highlight decor addict's fabulous first giveaway. I've been following decor addict for a year or so now and the lovely Trina, who writes the blog, has teamed up with Spin Collective who are offering 3 decor addict readers the chance to win wall stickers up to £30 in value. 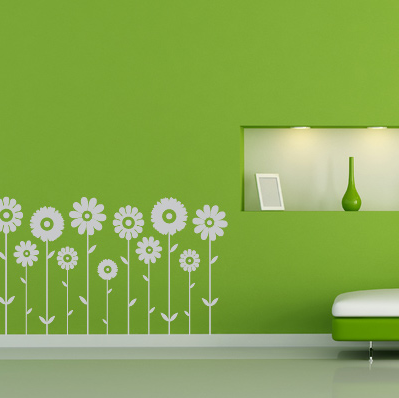 To be in with a chance of winning, simply comment on Trina's blog post here about what you would do with three different Spin Collective wall decals in your home. 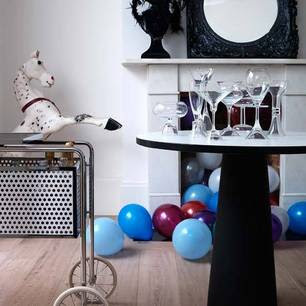 Good luck guys and thanks to decor addict and Spin Collective for the great giveaway! In the meantime, here's some of my favourite offerings from Spin Collective and with prices from as low as £4.00 a sticker how could you resist?! 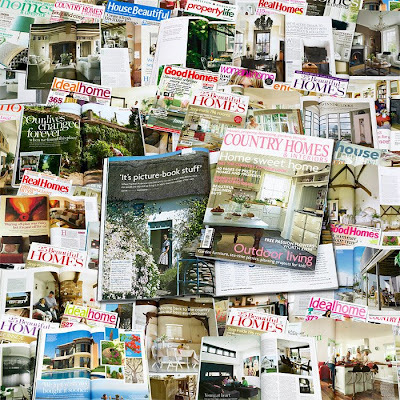 Times are tough for the magazine market, not least the crowded interiors section, where the latest set of ABCs proved too low for BBC Good Homes, prompting publisher BBC Worldwide to announce it was to close the home interest title after the July 09 issue. Worryingly the title was not the lowest selling within the home interest sector, often outselling rivals such as Living etc, which leaves me feeling very concerned as said title is my all time favourite magazine. 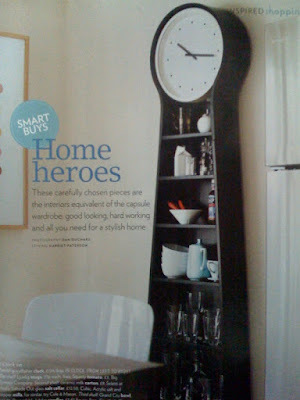 I'm keeping all fingers and toes crossed that IPC stick with their long running modern homes mag. 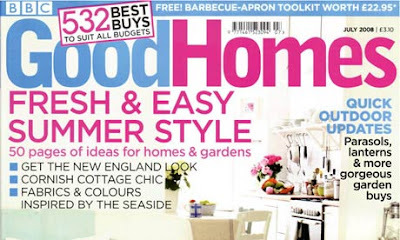 As for BBC Good Homes, the easy-read mag will be missed - thanks to all involved for 11 years of great features and inspiring content.